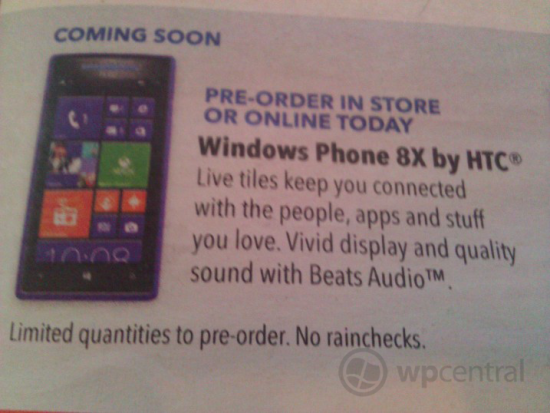 HTC Phone 8X Pre-Orders to begin Next Week with Best Buy? Are you interested in trying out the much-hyped Windows Phone 8 but think that its current darling, the Nokia Lumia 920, is a tad too expensive? Then you may want to consider getting the HTC Phone 8X. But if you’re stumped as to where and how you can get it, then retail chain Best Buy may be the answer to your problems. While the HTC Phone 8X and others Windows Phone 8 devices aren’t expected to hit until November, after Microsoft has officially unveiled Windows 8, that doesn’t mean you can’t take steps to make sure you get your hands on your WP8 smartphone. That’s where Best Buy comes in. The HTC Phone 8X comes with a 4.3-inch Super LCD2 display, a 1.5GHz dual-core Qualcomm S4 processor, 1 GB RAM, an 8 MP camera nd NFC capabilities. Storage is available in 8 GB and 16 GB variants. The device is also rumored to be significantly cheaper than its main rival, the Nokia Lumia 920, and is expected to cost around $600 without a contract. 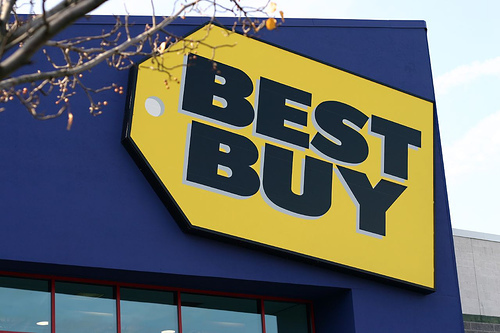 Will you be heading to Best Buy next week to pre-order and HTC Phone 8X? Or are you planning to get a different WP8 smartphone? Let us know in the comments!